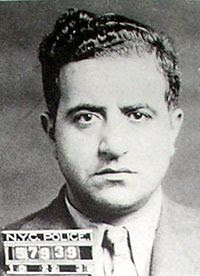 Albert Anastasia (born Umberto Anastasio, September 26, 1902 – October 25, 1957) was one of the most ruthless and feared Cosa Nostra mobsters in American history. By the late 1920s, Anastasia had become a top leader of the International Longshoremen's Association (ILA), controlling six union local chapters in Brooklyn. 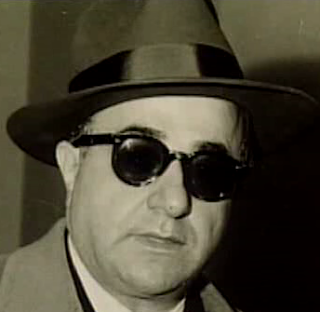 Anastasia allied himself with Giuseppe "Joe the Boss" Masseria, a powerful gang leader in Brooklyn. 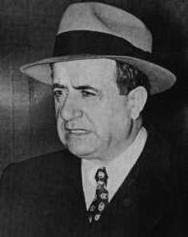 Anastasia soon became close associates with future Cosa Nostra bosses Joe Adonis, Charles "Lucky" Luciano, Vito Genovese, and Frank Costello. 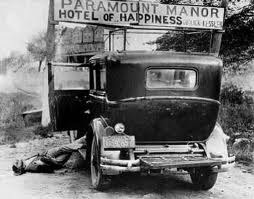 In 1928, Anastasia was charged with a murder in Brooklyn, but the witnesses either disappeared or refused to testify. 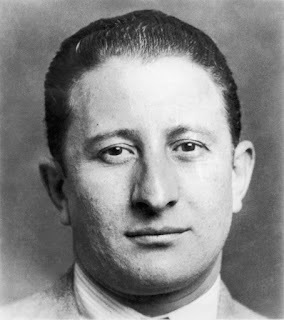 On April 15, 1931, Anastasia participated in Joe Masseria's murder. Luciano had lured Masseria to a meeting at a Coney Island, Brooklyn restaurant. During their meal, Luciano excused himself to go to the restroom. 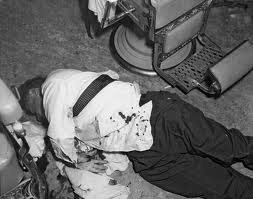 As soon as Luciano was gone, Anastasia, Vito Genovese, Joe Adonis, and Bugsy Siegel rushed into the dining room and shot Masseria to death. After a reorganization of New York's mafia into its current Five Families, Anastasia was appointed underboss of the Gambino crime family. 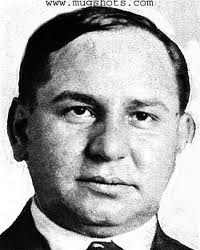 To reward Anastasia's loyalty, Luciano placed him in control of the Syndicate's enforcement arm, Murder, Inc.
During its ten years of operation, it is estimated that Murder Inc. committed between 400 and 700 murders, many of which were never solved. 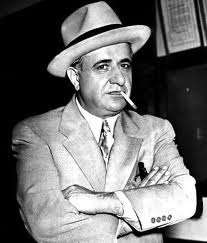 For his leadership in Murder Inc., Anastasia was nicknamed the "Mad Hatter" and the "Lord High Executioner". In early 1951, Vincent Mangano went missing and his body was never found. 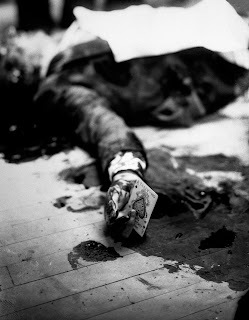 A few months later the body of consigliere Philip Mangano, shot three times, was discovered in a wetland in Bergen Beach, Brooklyn. 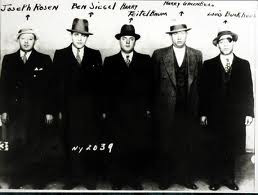 No one was ever arrested in the Mangano murders, but it was widely assumed that Anastasia killed them. With Costello's prodding, the Commission confirmed Anastasia's ascension as boss. 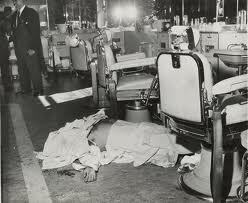 On the morning of October 25, 1957, Anastasia entered the barber shop of the Park Sheraton Hotel in Midtown Manhattan. As Anastasia relaxed in the barber chair, two men—scarves covering their faces—rushed in, shoved the barber out of the way, and fired at Anastasia. After the first volley of bullets, Anastasia lunged at his killers. However, the stunned Anastasia had actually attacked the gunmen's reflections mirror. 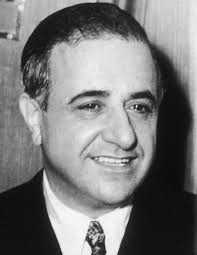 The gunmen continued firing and Albert Anastasia fell to the floor, dead. 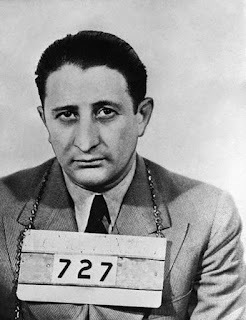 Carlo Gambino, "Boss of Bosses" Carlo Gambino was expected to be proclaimed boss of Anastasia's family at the November 14, 1957 Apalachin Meeting, called by Genovese to discuss the future of Cosa Nostra. 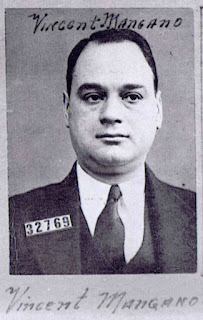 When the meeting was raided by police, to the detriment of Genovese's reputation, Gambino's appointment was postponed to a later meeting in New York City.